According to a new study, the distinct groups of Europeans that branched out beginning around 37,000 years ago were descended from a single founding population from southwestern Europe. A new study published May 2 in the journal Nature reveals the genetic history of ice age Europe, and how those early humans contributed to the genetic composition of modern Europeans. Researchers from the Howard Hughes Medical Institute analyzed DNA found in ancient bones in a study that reveals the migration patterns of ancient Europeans, as well as offering a picture of the dramatic population change that occurred in Europe between 45,000 and 7,000 years ago. The team used genomes of 51 different individuals, which represent most of the known human skeletons from the period between 45,000 and 7,000 years ago. Before this study there were only four available samples of prehistoric Europeans that offered genomic data that could be studied. The new study provides a much clearer picture of European history. Study leader David Reich said in a statement that 51 samples changed everything for the purposes of study, offering a sense of dynamic changes over time. The study was made possible only because of recent technological advancements that allowed the degraded DNA from ancient remains to be analyzed. The data has revealed details about ice age Europeans such as eye color, skin color, and how different groups were related. For example, ancient Europeans tended to have brown eyes and dark complexions. Blue eyes appeared about 14,000 years ago and pale skin emerged 7,000 years ago. The analysis revealed that later populations saw very little effect from the migration of other groups onto the continent. Instead, the distinct groups of Europeans that branched out beginning around 37,000 years ago were descended from a single founding population from southwestern Europe. Only later, about 14,000 years ago, did new migrations from eastern Europe cause significant population turnovers. The researchers also found some mixture with Neanderthals around 45,000 years ago, that occurred with the spread of modern humans across Europe. Although humans today have only about 2 percent Neanderthal DNA, prehistoric humans had 3 to 6 percent. “Neanderthal DNA is slightly toxic to modern humans,” explained Reich. 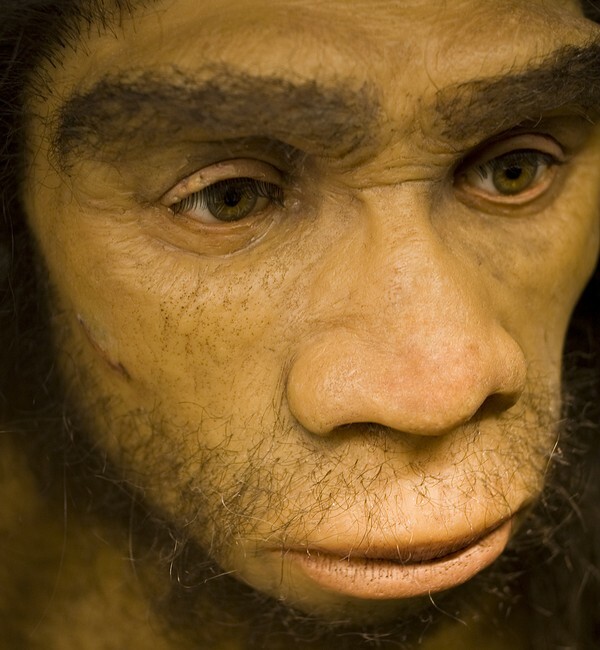 According to this study, natural selection appears to be removing Neanderthal ancestry.